As I mentioned yesterday in the comments if you were watching closely, I said we would be seeing Crosscourt Petal, Bleacher Stripe Cool Racerbacks and the third which is Floral Sport White. 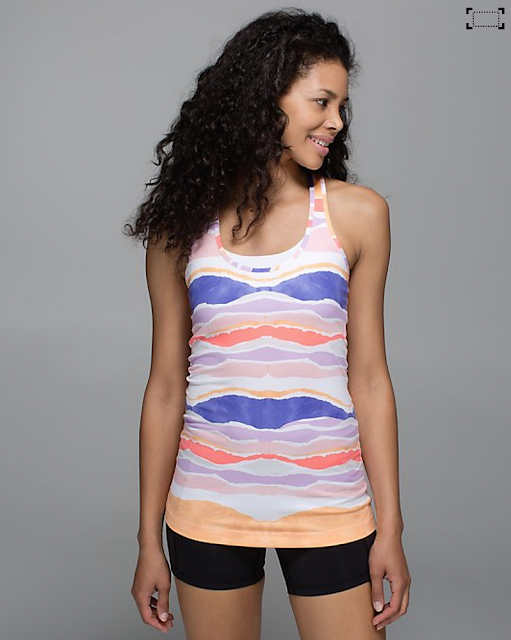 I am loving the Bleacher Stripe and Crosscourt Petal and the Grapefruit What The Sport Tee. Thanks!! Wishful thinking I guess. Still gonna need it. omg I need everyone of those tops! Yes, I did see that Kaitlin has also mentioned there would be 2 new CRBs in new colourways – so that left me confused…if she was meaning these colours or totally new colours that have not been previewed yet. Can't wait for upload! I do love the true self crops but getting tired of paying $98 for crops —- so may just stick with CRB! i wonder if pistachio CRB is going to be neon, like the grapefruit and clear mint…..i won't get my order for a week! long wait!